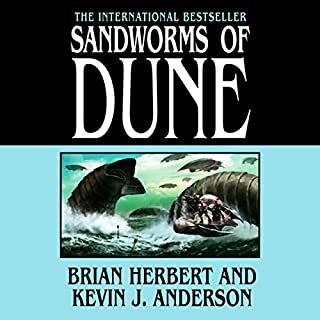 Based directly on Frank Herbert's final outline, which lay hidden in two safe-deposit boxes for a decade, Sandworms of Dune will answer the urgent questions Dune fans have been debating for two decades: the origin of the Honored Matres, the tantalizing future of the planet Arrakis, the final revelation of the Kwisatz Haderach, and the resolution to the war between Man and Machine. Maybe better than original Audible production. 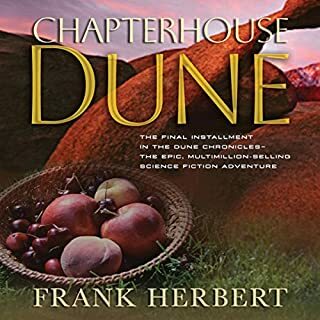 The author of the Dune [Chronicles] Saga, Frank Herbert, died in 1986 before completing the final installment, Dune 7. According to his son, Brian Herbert, a couple of years after the passing of his father, a safety deposit box was found with copious notes about the saga’s past and outlines for its future completion. 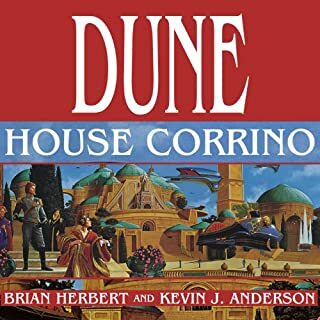 His son collaborated with Kevin J. Anderson on the final book but also several prequels including a Prelude to Dune trilogy about the three prominently featured houses or families of the saga: Atreides, Harkonnen and Corrino. 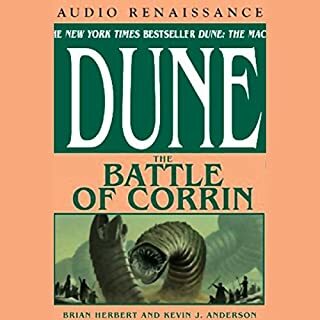 I thoroughly enjoyed the audio version of the original Dune years ago. And, after just finishing the entire “House” trilogy, I reread the original to more freshly compare them. I must say, I think that I enjoyed the prequels more. However, I don’t know that I would have had I not read the original first. 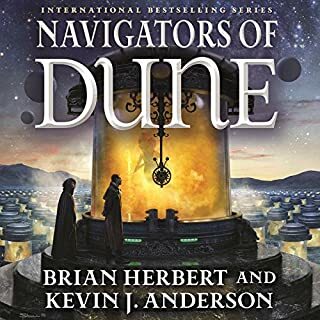 Before going on about the “House” series, because one cannot edit a review on Audible once it’s posted, a comment here about Book 1 might be helpful. 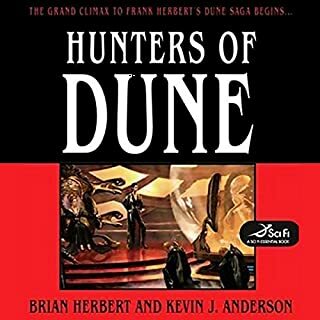 The original Dune is narrated by Scott Brick, Orlagh Cassidy, Euan Morton, Simon Vance and a cast of others. At first it seemed like a good idea to have each character in the book have a unique voice. Unfortunately, from the way the book sounds, each narrator performs in a different studio setting. How do I know? Because it sounds that way. The dialogue sounds stilted, jerky and downright amateurish. Everyone of the characters in the prequels is played by Scott Brick. And they are far superior recordings. Scott Brick’s character dialogues are fluid, of the same ambience and just don’t sound dated like the original. To continue about the prequels, they have an added depth to them. The characters are more fully fleshed out. The separate and familial relationships among all the characters are more fully explored. I realize this in not in accord with some other reviewers who sometimes seemed to find conflict with the original material. On the contrary, I found mostly only continuity that added to and enriched the original. 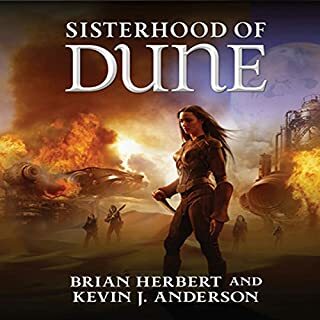 In the prequels we learn how Paul Atreides becomes the product of the generations of genetic “engineering” (selective breeding) of the Bene Gesserit to obtain the Kwisatz Haderach. 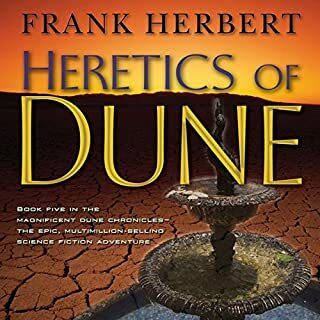 And we learn of the backgrounds of all the other major players: Baron Harkonnen and his maniacal family, Emperor Shaddam and his, Jessica, Rev Mother Mohiam and a whole lot of background on the other Bene Gesserit “witches.” There was a mystical context in the original chronicles but these prequels greatly amplify on that. 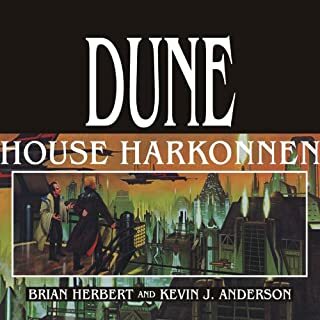 Would you listen to Dune again? Why? I want to listen to the whole series after I listen through all of them the first time. Knowing the tidbits you learn as you progress through the novels improves awareness in the story and you can pick up new stuff every time you listen. It's a great example of the power of the Dune Saga. It's not Frank Herbert, but I found this story more riveting and addictive than the other novels. Having experienced the other stories, you know what will come, but how everything pans out is really fascinating and still holds interest. What does Scott Brick bring to the story that you wouldn’t experience if you just read the book? Scott Brick is a good narrator, but Simon Vance is much better at making characters come to life with his talented acting ability. I wish I could pay attention that long! It is too long to listen to in that way. First of all, the William Shatner (early Star Trek years) of narrators butchered this book in my opinion. He bloats every sentence with sickening amounts of emotion it does not merit, and every word has a quaver in it like the character is always on the verge of sobbing. It was so overdone I could hardly pay attention to what was happening and when I could follow the story, it felt cheap. Nothing is left to the imagination, he bluntly mentions everything in a way that can't let the reader figure anything out. This kind of writing is drudgery to listen to. I could not get attached to any characters, feel anything for them or even guess how they might react to situations. A lot of what happens as far as how people react is implausible at best, and downright silly and an obvious attempt to throw the reader off balance at worst. The trick (to me at least) is to do that without the reader noticing. With this book you will notice everything your not supposed to and miss the fun and excitement of figuring something out for yourself, which is impossible when it's all just given to you ahead of time. 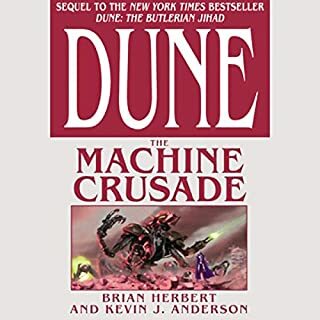 After finishing this book, it made me feel like the writer weakly tried to explain and fill in back story without much creativity from the REAL Dune books, which are miles better than this. Overall it was a decent book, though a couple of things stand out. Performance-wise, the pause between chapters seemed to vary, sometimes greatly; sometimes, in the middle of a chapter, you would get an occasional long pause that would make you think you were moving into the next chapter. There seemed to be no rhyme or reason to it. Not a big deal, but it did feel a bit disorienting. 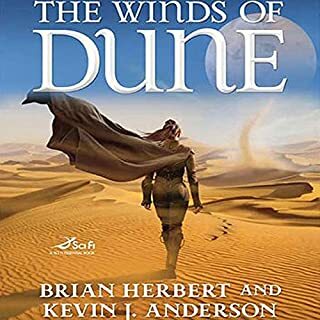 Otherwise, it was the usual good narrative I've gotten used to and enjoyed with the Dune series. 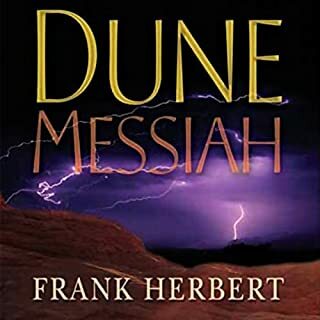 From the story perspective, the authors introduced minor nuances in language that I'm pretty sure Frank Herbert would have never allowed in his dialogue. For example, never was the word "kid" used in any prior book, nor were there any oft-repeated exclamations of any kind, which this book seemed to be peppered with. The excessive amount of back-slapping going on with a couple of the characters also seemed to stand out quite a bit in the story. 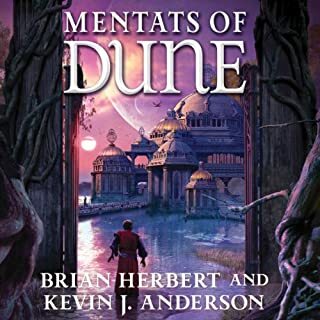 Minor quibbles aside, the book did a fine job providing a cognitive history to the Atreides family history, and I enjoyed following the numerous stories the book tied together. This is an excellent book, excellent, series, excellent prequel. 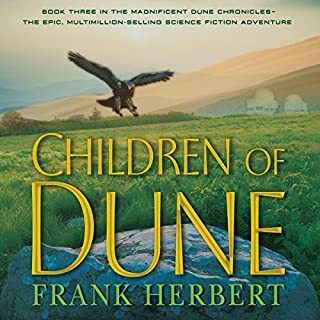 If you loved Dune, you will love this series. 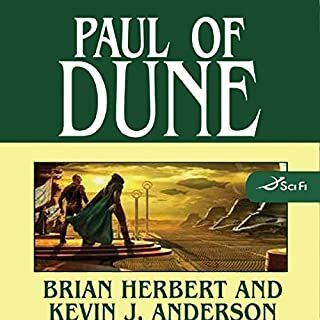 If you tried to read Dune, but found it too complicated, than start here. 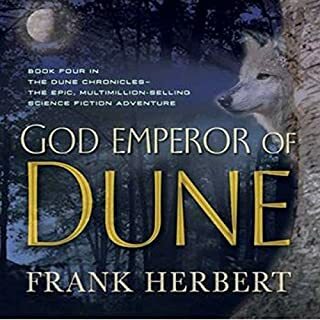 The entire complex worlds and societies, created by Frank Herbert, are made easy to understand through these stories. The people, the worlds, the politics are deeply described in exciting detail. I normally hate politics of made up worlds, but this is so interesting, exciting and even possible, that I get got up in the intrigue, back stabbing, plans within plans, and brutality. It would take pages and pages to describe all the unique characteristics of this universe, let's just glance over it slightly. First, atomics and thinking machines have been banned in the universe, due to the destruction they caused in the past. This has caused mankind too to come up with ways to accomplished things by mutating man. The Bene Gesserits are a sisterhood of women disguised as a religious order, who have developed telepathy, and have increased their power through a strict breeding program. The Mentats are humans who have developed their brains to be complex computers. The Navigators have mutated their bodies to be unrecognizable as human, but through their minds they fold space and make space travel possible. All of these sects relay on spice or mélange in order to achieve these changes. Melange can only be found on one planet, Dune or Arrakis. an inhospitable planet where it never rains. 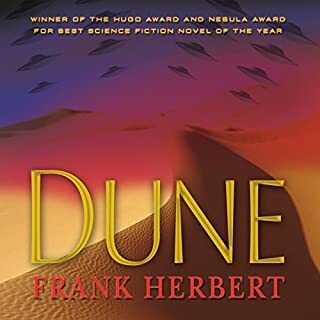 Dune is populated by a hard group of people called the Freeman. Then there are the planets, besides Dune, there is a planet where everyone lives underground, an industrial planet that is covered with so much smog it is always dark and more. I just can't explain it all here, you have to read it yourself. I will also mention that I am not a fan of Brick, but even he can not ruin this book. 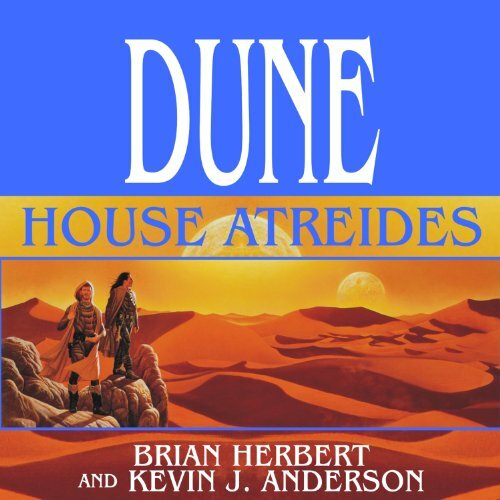 I listened to the 1st Dune audiobook about 6 years ago (on 20 CD's), and really liked it. 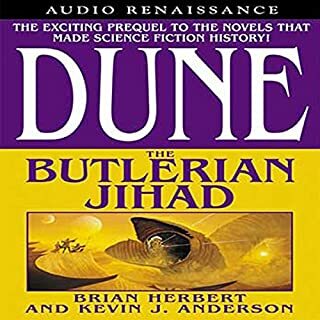 The EDITED version of the Dune movie wasn't bad; but all of the subsequent video presentations put me off. Big mistake. Love the book, dislike the narrator. I love the book, the story, the writing. I dislike (hate is too strong of a word) Scott Brick. His reading just seems a little too dramatic. I think I'll just get the rest of the series in paperback form, and read it the old fashion way. Am I the only one who feels this way about Brick? I have always loved the Dune series. Overall I have liked the prequels. Time well spent? It's a distraction from traffic. Frankly, I'm tempted to stop listening and read the book. The narration is horrible. I've never listened to ANY Audible book with such annoying narration. The constant fake emotion and sing song delivery is terrible and really takes away from what could have been an excellent story. I would go see it as long as Scott Brick was not involved in any part of it. My Geek Cup runneth over! I loved this! I am generally a little leery of prequels, having suffered under the creative license of some of my favorite series and franchises and their creators' need to tie every single bit and arc into a neat and tidy bow. This book did not suffer that same fate. It was more like filling in holes than trying to tie loose ends together. All of the history was effortlessly interwoven with the current narrative, exposing motives and back stories rather than creating new themes to fit a universe already in existence. Great collaboration, thoughtful re-imagining, of this interstellar play of the human condition, past , present , & future.